Fasting is a very common spiritual practice that is done by people across the globe. The reasons that people have for fasting are also very similar. If the reader is an inquisitive person, they may find themselves asking how these different cultures and different religions share these ideas despite the great distances between these cultures. Perhaps the answer to this question lies in the most ancient traditions which have given birth to the diversity we see today. Many religions observe a period of fasting during their important religious Holy Days. Typically, fasting is seen as an important part of the religious practices. Although each religion is different, the reasons for fasting share many commonalities between the various cultures. 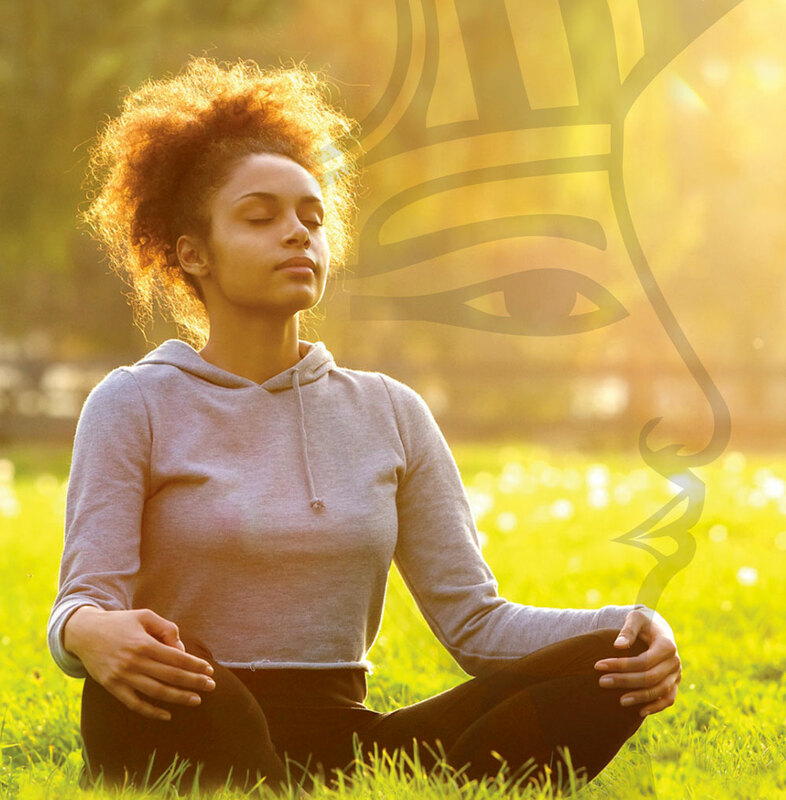 During the 10 day Kemetic fasting period, Kemmioo (Kemetic People) remember the teachings of our Ancestral God, Wsr (Osiris), which introduces civilization to huamnity. Fasting is practiced in Islam for Ramadan. In Islam, fasting is used to redirect the heart away from worldly activities in order to cleanse the soul by freeing it from harmful impurities. In Buddhism, fasting is viewed as an initial stage of self ­discipline to acquire self ­control. In the Christian religion, fasting is associated with prayer as spiritual discipline to take a person’s attachment away from the world and focus it on God. In Hinduism, individuals abstain from eating so that their mind becomes alert and pure in addition to cultivating control over the senses and sublimate desires. The commonality shared by all of these religions is that a period of fasting gives a human being the experience of going against earthly desires and withstanding some discomfort for the purpose of spiritual growth. Since all of these religions stemmed from humanity’s original spiritual system, it is worth considering that the reasons behind fasting also came from that same system. The Kemetic Spiritual system is the oldest known to humanity. One can find similarities between various cultures because they all stem from this original model, which was given to humanity by the Divine World. According to ancient texts, humanity at one point found itself in a state of barbarism. Human beings were no different than animals at that time, without having any knowledge of the foundational pieces of civilization. This was our condition until one Deity who we identify as our Ancestral Deity, Wsr (Osiris), took it upon himself to educate humanity. It is important to note that unlike human beings, the Divine World does not contain the corruptions found in the human world. Despite this, Wsr was able to withstand our corruption for long enough to give us the knowledge to civilize us. Wsr taught humanity about language, astronomy, agriculture and hygiene and brought humanity out of the darkness of barbarism. If it was not for Wsr’s compassion, we would likely still be living as animals do. 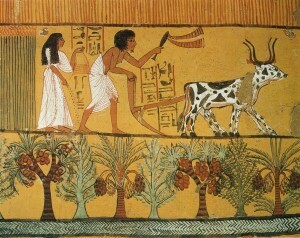 In the Kemetic traditions, fasting is typically associated with mourning. A period of fasting occurs once a year in observance of Wsr. It is a time to mourn the death of the Deity responsible for our evolution into a civilized species. When people fast for Wsr, they are giving up comforts and desires in order to accompany Wsr to the World of the Dead for that moment in time. Kemmioo (Kemetic People) worldwide spend time meditating on the kindness that Wsr displayed towards humanity. The fasting period lasts ten days, during which time people refrain from eating, drinking, smoking (or putting anything in the mouth), profanity and copulating, from sunrise to sunset. Although fasting can be a good way to work on self discipline, self control and detachment, those should not be the sole purpose for such an important spiritual act. Understanding why we embark on the journey is a very important component. Unfortunately, much of humanity has forgotten the origin of these practices. Everything has its origin, and through investigation of humanity’s history it is apparent that the original spiritual system not only unites all cultures around the world, but also possesses many of the answers that we seek today. We invite all seekers of traditional spirituality to join us in this fast beginning the 27th of Kairika until the 6th of Tepia 415 (January 5th ­ 14th, 2016).